It’s time, again, for the annual Social Security Trustees’ Report. The headline figures, as always, are the change in the dates at which the various trust funds are projected to be depleted. Combining OASI (Old-Age and Survivors Insurance) and DI (Disability Insurance) together, the depletion date has been extended one year further out, from 2034 to 2035. Taking the two programs separately, the old-age fund’s depletion date remains unchanged at 2034, a mere 15 years from now, but the disability fund’s depletion date was extended from 2032 to 2052. When each of these funds are depleted, they will be able to pay out 77% and 91% of benefits, respectively, out of incoming tax revenues. What does this mean? In part, the prosperous economy has meant that more people with disabilities are finding employment and are able to stop claiming Social Security disability benefits, or never need to begin doing so in the first place. This means that actual disability recipients are fewer in number than was forecast, and that they have changed the assumptions going forward as a result. That’s great news — if that continues to be true in the long-term. If you or someone you know is unable to work due to a medical condition, please contact use for a free evaluation of your claim! The process of applying for federal disability assistance will change this week in Pennsylvania — and for many applicants, it will become longer and more complicated. Anyone applying for Social Security Disability Insurance Benefits, Supplemental Security Income, or both, will face an additional step in what already can be a lengthy process. The change is being criticized by disability advocates, attorneys and members of Congress. Currently, anyone applying for disability assistance whose initial application is denied can request a hearing before an administrative law judge. The average wait from a hearing request until disposition of a claim is 524 days, roughly 17 months. Starting April 20, 2019, an applicant denied at this first stage must instead file an appeal in a process called reconsideration. If they are turned down a second time, then they can request a hearing. Pennsylvania is one of 10 states that has not had reconsideration since 1999. The reconsideration process is being reinstated so that there is a uniform process for disability claimants across the country, said Daniel O’Connor, a regional spokesman for the Social Security Administration. Mr. O’Connor said this will also lead to earlier decisions for some applicants. Nationally, about 13 percent of applicants are approved at the reconsideration stage, but for those who aren’t approved, it adds an average of 101 days to the process. It will also halt the process for some altogether, advocates say. “Many claimants and representatives view reconsideration as a meaningless step, a rubber stamp, of the decision of the original denial,” advocate Lisa Ekman testified last year before a Congressional subcommittee on Social Security. 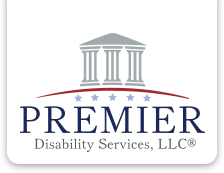 “This procedural hurdle can cause many claimants to abandon their appeals despite the fact that they meet the statutory definition of disability,” testified Ms. Ekman, now director of government affairs for the National Organization of Social Security Claimants’ Representatives. Existing applications are impacted by the change and are not grandfathered in to the prior process. The change “will be very confusing and time consuming for people with disabilities,” said U.S. Rep. Dwight Evans, D-Philadelphia, speaking at a press conference Wednesday at Community Legal Services in Philadelphia. He encouraged Pennsylvanians impacted by the change to contact their members of Congress. “We will be very vigilant in following up on this particular issue,” he said. Be Careful What You Post Online! Though the SSA hasn’t yet outlined how it might use social media in screening applicants, the proposal has raised eyebrows — and data privacy concerns. For one, unless the agency plans to partner with social media companies for back-end user data, it’s hard to imagine how federal disability examiners could even authenticate profiles to evaluate applicants for disability. Social media profiles aren’t tied to Social Security numbers, and many users set their profiles to private, preventing strangers from viewing them. Furthermore, social media is often a poor measure of a user’s typical lifestyle, given that Facebook or Instagram users often post only content they want to present to their community. A user with a disability claim may not share how he deals with his disability on a daily basis, but he may share photos from the recent vacation he took to the Caribbean or from the weekend hike he went on. One disability attorney reported that he had to defend such a post to a judge who brought it up at his client’s disability hearing. The client said the photo, which showed that she went on a hike, wasn’t representative of her typical lifestyle and reported that she was bedridden for three days afterward. “You want to be careful because you don’t want something to be taken out of context,” the attorney said.